Have you ever really wanted to know the secrets of prayers? Have you ever ask yourself the question, "Why aren't my prayers being answered?" Good news! Jeremy Lopez is going to teach you the secrets of vibrating the heart with what your soul is desperately crying out for in prayer. Learn the secrets of why your prayers are not being answered and how to know your prayers are truly being heard! 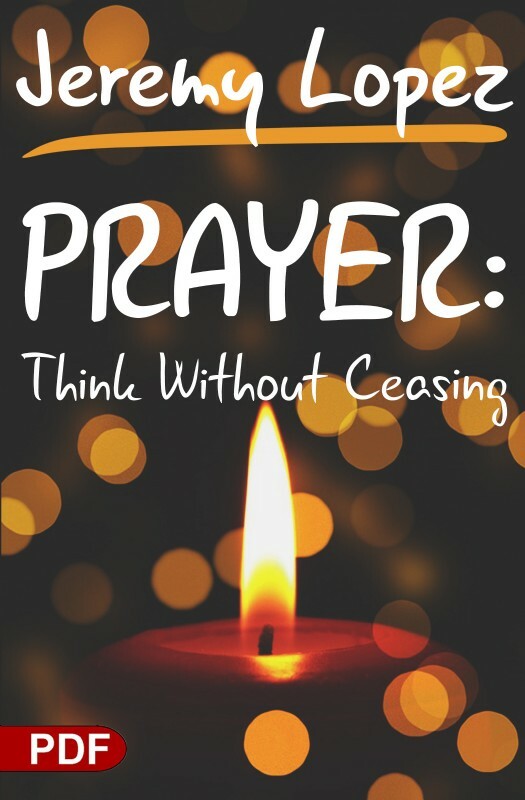 I received Prayer: Think Without Ceasing in the mail yesterday and couldn't put it down! This book in only one day has changed the way I think, see, act, and do just about everything in daily life. There are so many golden nuggets of revelation that speak volumes into today's world. I cannot express enough gratitude to Dr. Jeremy Lopez for following God's leading and writing this book. I am forever changed in the way that I correspond with God's Kingdom here on Earth. Thank you!